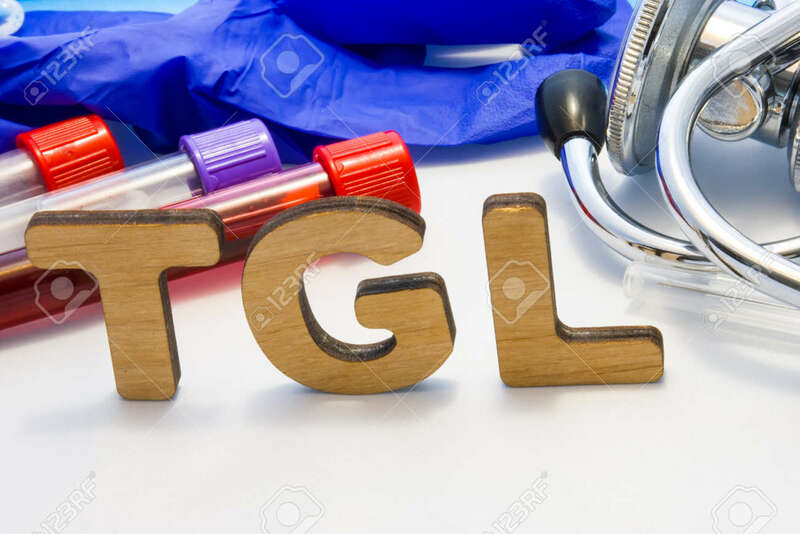 TGL Abbreviature Mean Triglyceride Simple Blood Test With Lab Tubes With Blood And Stethoscope. Using Acronym TGL In Laboratory Clinical Diagnosis, Measure The Level Of Triglycerides In Blood Royalty Free Stok Fotoğraf, Resimler, Görseller Ve Stok Fotoğrafçılık. Image 118411130.